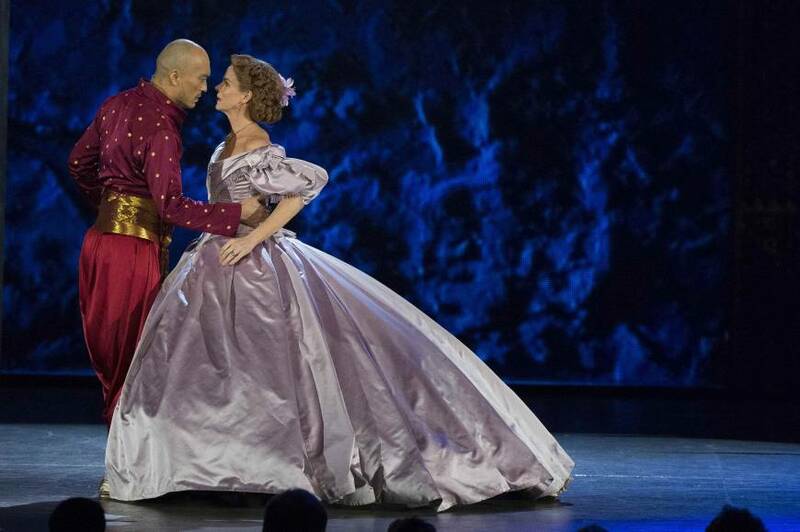 NEW YORK - The Broadway musical “The King and I,” starring Japanese actor Ken Watanabe and veteran American actress Kelli O’Hara, on Sunday received four of this year’s Tony Awards, the most revered prizes in American theater, including best musical revival. The best musical actress went to O’Hara, who in her acceptance speech thanked her Japanese co-star as well as others involved in the production, which was nominated in nine categories. Watanabe missed out on best musical actor, for which he was one of the five nominees. Ruthie Ann Miles, in the role of a princess, was given the best featured actress award, while Catherine Zuber was honored for costume design. As part of the televised award ceremony, Watanabe and O’Hara performed the famous “Shall We Dance” scene from the musical. The nine Tony nominations of “The Kind and I” was one of the most for this season’s musicals and plays. The musical classic, set in the 19th century in what is now Thailand, was first performed in 1951. It revolves around an unexpected bond that develops between the king of Siam and Leonowens. The revival version opened officially at the Lincoln Center Theater in New York on April 16 after a nearly monthlong preview. It was Watanabe’s Broadway debut. He has played roles in a number of Hollywood movie productions such as “Inception,” “Letters from Iwo Jima,” and “The Last Samurai,” as well as many other films and TV shows in Japan. Co-star O’Hara has been nominated several times for the Tony Awards. Awards are given in more than two dozen categories in musicals, plays and special recognitions. The best musical award went to “Fun Home,” while “The Curious Incident of the Dog in the Night-Time” won best play.